Outfit of the Day with some Arizona Goodies! So I learned an interesting fact while at Strut Bridal this past week....and that is there are only 6 plus size bridal shops (total) between the U.S. and Canada. 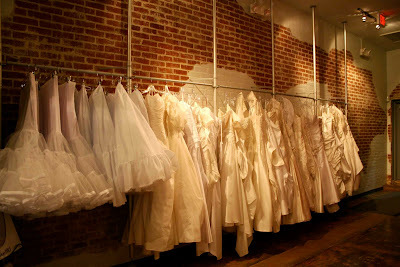 Strut Bridal in Arizona happens to be one of them. I had to talk about this gem of a boutique first, because as many of you know I will getting married next April. I know I will be taking a trip back, so that I can have a one on one consultation, because the dresses in this shop do not look like the tradition plus size dress that I oh so hate! They are gorgeous and they look really expensive, but in actuality they range from $500 - $2400. I have been looking in shops where the dresses that I like are minimum $7000 and of course I would have to get them custom to my body (b/c they are not offered in plus) which could possibly cost me double the original price of the dress. Ann from Strut says that when she got married she encountered the issue of not wanting the "plus size" dresses and this is what inspired her to open the boutique. From what I have seen of them they are terrible and on my wedding day I don't want to settle for a dress. I, personally, think for brides to be this place is definitely worth flying to...HAND DOWN...for a breathtaking bridal gown. Bear with me this post is a little long than usual. Next I wanted to talk about my outfit from the Arizona Book Signing. I actually choose to go a little more casual chic with this look. I had been bound for two weeks, I feel, in heavy foundations and "posture correcting" dresses...that I wanted a little break. So I decided to use an outfit from Torrid to give me a chic, but more comfortable look. Hey...even I need a break...LOL. 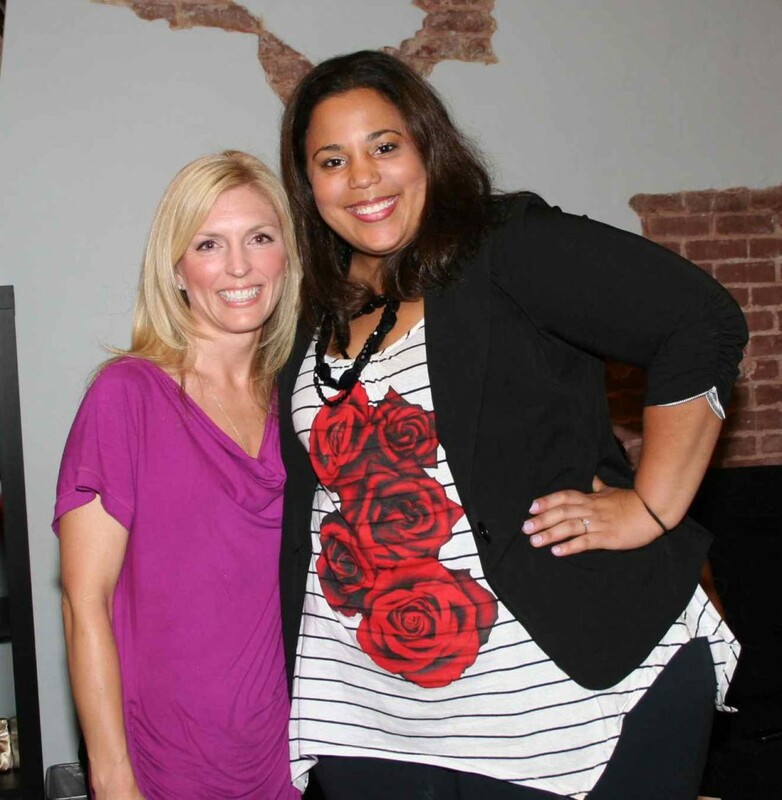 You can see me pictured here with my new BFF (Best Friend in Fashion) - Kira from Fashion Phoenix. She is the lady behind Phoenix's main fashion blog. Be sure to check it out...she has a great post on her site now about Ted Baker - - the line is adorable! In this look, I wore a pair of black leggings, an oversized top (with zipper detail on the shoulder - cute, but I know you can see it, and a black blazer with gathered sleeves, all of which are from Torrid. I added the black blazer to give the outfit a little more structure. The necklace is from H&M. I never knew that about the plus size bridal shops! Do you know where the others are?? @Beazus...you know I havent researched where the others are. I think Ann told be there were 1 or 2 in Canada. 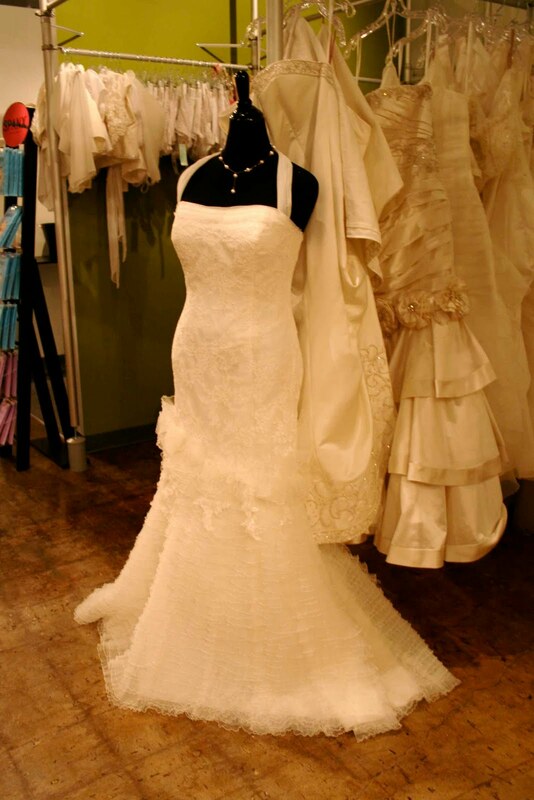 Our bridal shop here in Madison has STUNNING dresses. I got my FABULOUS plus size wedding dress there. Vera's Bridal. I felt and looked like a princess that day. *sigh* Now I want to do it all over again. I have that blazer! I love it! You look great and that second dress is TO DIE FOR! Maybe a little drive will be in order for me when I get engaged! Looking forward to more info about the bridal shop when you go again! I love the tee, very causal but feminine at the same time. @laura..yes i gotta go back..there were just too many gorgeous dresses. Wow!! That bridal boutique looks amazing! 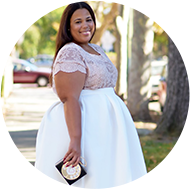 I love that you cover so many areas of fashion in your blog. Great Post! 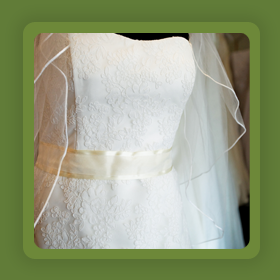 One bridal shop for plus sizes is in St. Louis Mo. I ran across their site by accident when searching for plus size dresses. They have a good variaty. And by typical in regular sizes I meen that I use to find the same thing in smaller sizes all the time but never in plus size. Now its in plus size and on their site. Oh and http://pacificplex.com/index.html is great for little brides maid or just dressy going out dress type things. Even goes from smaller sizes up to a 3X with extended sizes available for some of the stuff so its possable to dress bridesmaids of diffrent sizes in the same style.